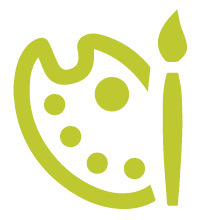 Every year, we award two $1,000 scholarships to students pursuing an art-related education. Creating beautiful home décor is our passion, and the scholarships give us an opportunity to support those who share our passion for design and creativity. The scholarship is open to both graduating seniors and first year college students. Award: One time $1,000 award for an accredited 4 year college or university. Letter of Acceptance at U.S. accredited 4-year college or university OR transcripts/official record of 4-year college/university currently enrolled in. Official transcript demonstrating achieved GPA. (Required) Portfolio, website, thumbdrive, cd, or printed images of artwork. Printed images are preferred. What inspired you to pursue art as a career? Describe your most meaningful project so far. What do you hope to accomplish with a degree in art? Describe a situation where you feel art has improved a community. Please email rbr@brewp.com with any questions. *All Brewster Home Fashions employees and their relatives are ineligible for this scholarship. Recipients will be selected by members of the WallPops Scholarship Committee based on application materials provided. Awarded applicants will be notified of the committee's decision by Aug 23, 2019. Payment will be made directly to the recipient's school of choice upon notification and in accordance with the school's scholarship guidelines. Brewster Home Fashions originated in 1935 as a US regional distributor of wallpaper. This family business has flourished into one of the largest producers and distributors of home decor today. WallPops is our premium line of peel and stick wall decals, proudly made in the USA! NuWallpaper is our line of revolutionary peel and stick wallpaper. WallPops and NuWallpaper are safe for walls and are completely removable, reusable, and repositionable. They include beautiful wall art designs for every age, dry-erase calendars, message boards, and other home items. The heart of any organization is its people, and our dedicated team of employees has made us the company it is today. We are pleased to be able to offer this scholarship to contribute to the next generation of business leaders. Creating beautiful wall decor is our passion. This scholarship gives us the opportunity to support those who share our passion for design. It is our hope that by providing help to aspiring artists studying in creative fields, we will do a small part to foster their future success. We also hope that our company will serve as an inspiration to talented individuals who seek careers in the creative sphere. We are proud to be able to give back and support the educational endeavors of students pursuing art degrees.